The Lucitopia Rural Design Challenge (LRDC) gathers outstanding young design teams from around the globe, focusing on specific Chinese rural regions, to explore and research issues and needs from the perspective of community, environment, culture and economy. The design process is guided by experienced international tutors, through advanced design methodology, professional know-how and technology. The teams compete to provide the most feasible, innovative and sustainable solutions, leading towards rural regeneration and redevelopment in Chinese rural areas. The first LRDC was held successfully in Zixi Qingliangshan National Forest Park in May 2018, which marked, at the same time, the beginning of the Lucitopia development project. 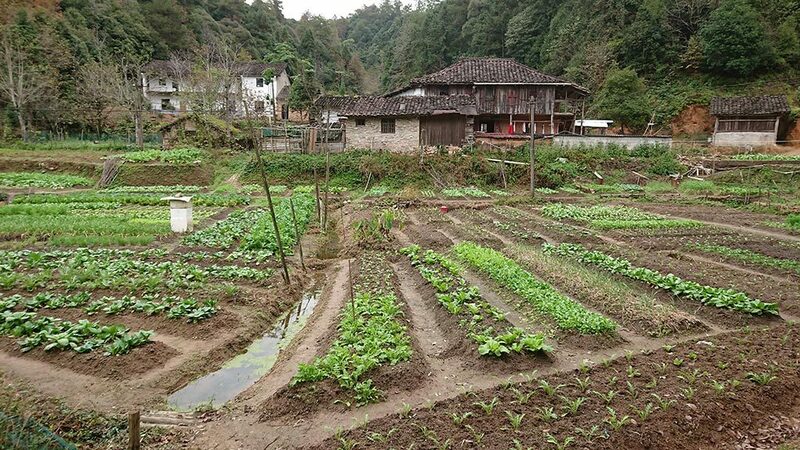 Lucitopia Town is located in Zhuxi Tree Farm in an area also containing Qingliangshan National Forest Park and several pastoral villages in Zixi County, Fuzhou City, Jiangxi Province. Surrounded by beautiful nature with mountains and streams, Lucitopia Town is within an unspoiled ecological setting and pleasant environment with simple folk customs. Taking the ‘Creative Industry Eco Town’ as the basic positioning, Lucitopia Town aims to incorporate a balance of Ecology, Living and Production (ELP) to create and develop a town that characterizes ‘Ecological Civilization’ and a new form of Creative Industry. Under the premise of the strict protection of the natural environment, and respect for the original ecological balance, the development of Lucitopia Town incorporates spatial planning, industry planning, community building, content creation and experience design in an “organic” approach, which is geared towards the goal of the revitalization of the rural community. Lucitopia Town explores and harnesses local natural, cultural and social resources, strives for the innovative development of its industry, and is dedicated to creating a paradigm of town life that integrates Creative Industries, ‘Livable Ecology’, Cultural Tourism, Leisure and Wellness, and Community Services. The remote and unspoilt character of Lucitopia Town, situated in the midst of the primeval Qingliangshan National Forest Park with its several pastoral villages, provides an excellent basis for the exploration, design and development of ecologically beneficial and sustainable solutions around a rural community, which seeks to harness, develop and promote the best of local cultural tradition and natural produce, whilst enhancing quality of life through the application of advanced expertise, methodology and technology. Emphasis is placed on such Sustainable Development Goals as efficient and renewable energy, biodiversity, responsible production and consumption, wellbeing, healthy foods, environmental protection and education. All this, together with the natural beauty, flora and fauna of the area, could make Lucitopia an engaging community for both residents and visitors. From a wider perspective, the Lucitopia project aims to not only create an innovative, ecological town, but also to offer a compelling solution for the revitalisation of the rural community, which not only stems the tide of rural depopulation, but also brings ecologically aware visitors into the area. 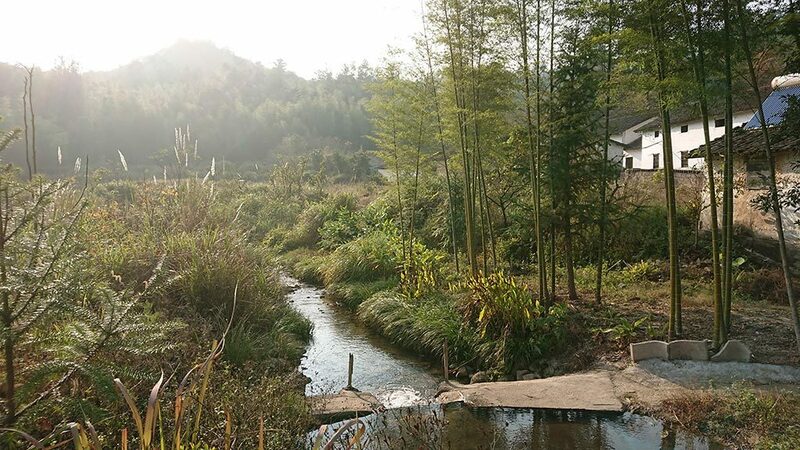 In last year’s LRDC, the design participants had a wide remit to develop and revitalise the Qingliangshan area on the basis of a balanced unification of Ecology, Production and Living. This year once again, the LRDC aims to use the immense potential of Lucitopia’s unspoiled natural resources, human talent and inventiveness, and the latest technology together with traditional know-how to develop new forms of rural creative industry. The focus of the LRDC 2019 will be around the innovative use of natural and waste materials, derelict areas and spaces, the shaping of the ecoscape, renewable energy and wellness, taking ‘edibles’ as a main starting point, to provide integrated design solutions. These solutions can address immediate local needs but also much broader issues around the design of rural – urban interaction within a social, economic and cultural context. The process of sourcing, developing and testing is in Lucitopia, but the aim is to replicate and export the results to a wider region and more rural communities. In line with Lucitopia’s development strategy, this year’s design solution proposals will also be evaluated for possible further participation in the incubator program in Qingliangshan. AB: Important centres of eco-design are now being created in China, such as the well publicized eco-design town in Conghua in the Guangzhou-Shenzhen area. Does the development of Lucitopia town have the same aims and vision as such initiatives as Conghua, or does Lucitopia town have its own, different environmental/ecological aims and vision? 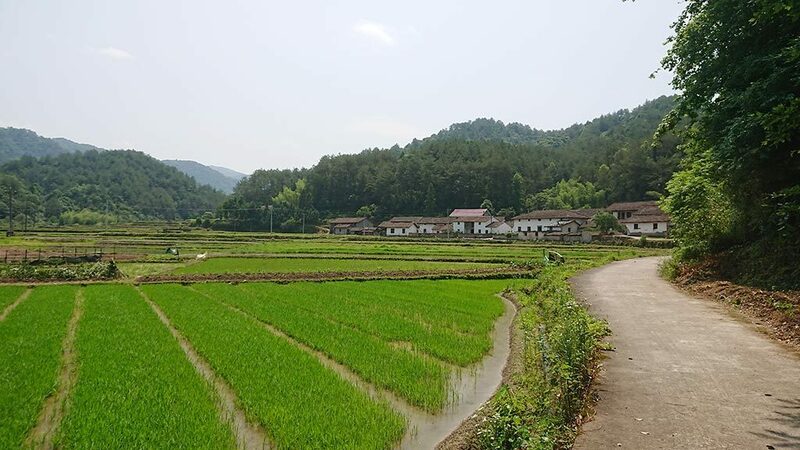 ZZ: From a wider perspective, I think both Lucitopia town and the eco-design town in Conghua aim to explore and practice a possible development model based on ecological/sustainable concepts, which is placed under the context of urban-rural interaction. In a more specific context, as far as I understand, the eco-design town in Conghua has a much stronger focus on its role in relation to the region (Guangdong- Hong Kong-Macao Greater Bay Area), in other words, how much the town can serve regional development is an important consideration in its development. 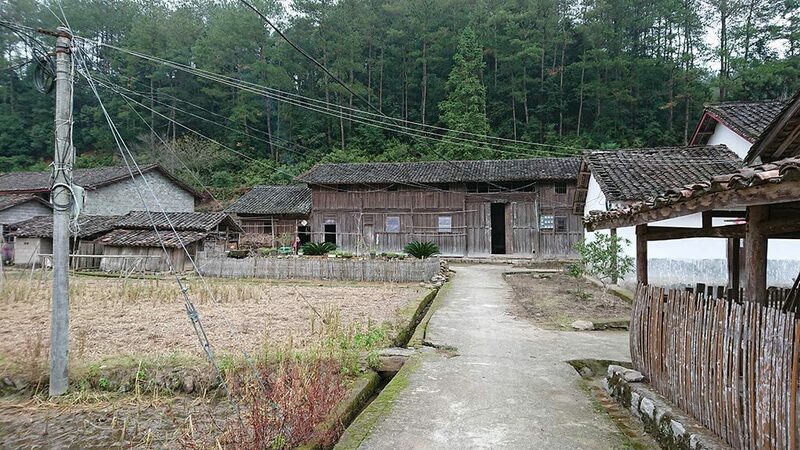 Lucitopia town is based in a more typical Chinese rural area with rich natural resources but facing depopulation. On this basis, one of the important aims is to develop a new local life and community, which attracts people with ecological awareness to work and to live in this area. AB: I understand, Ming. From your answer, it seems to be that Conghua is part of the regional economic focus on ‘Green Innovation’ of the Guangzhou area, whereas Lucitopia has a strong ‘community’ and ‘ecocological awareness’ focus. But in order to build the economic growth, Conghua is also focusing on building an international, environmentally aware community, attracting already 65 eco-companies to relocate to the town. In the same way, doesn’t Lucitopia also have to develop the economy of the area at the same time as ecological awareness, in order to stop rural depopulation and attract people to move there. Isn’t this why you want to develop new kinds of ecologically friendly eco-products and services here, which can be reproduced, sold and distributed locally, nationally, even internationally? 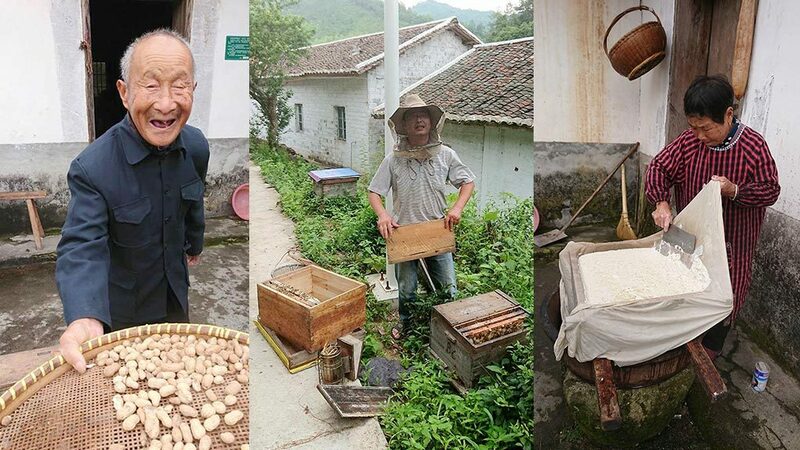 It seems to be that, while Conghua and Lucitopia have similar aims – ecological community and economic development – Lucitopia is starting from a much smaller scale, with a ‘purer’ and more locally ‘authentic’ perspective, and a strong focus on rich natural resources. Do you agree? ZZ: From the materials I can find on Conghua, it seems that their planning and development is more a ‘from top to bottom’ process, in which the government (particularly the provincial government) is the leading role, who is able to make use and gather a lot more resources on this kind of project, as well as having the positioning from its perspective (e.g. as a provincial government), but like I said, I have also limited knowledge on their project. I agree on what you wrote above about Lucitopia, this can be seen in “the balance of Ecology, Living and Production”, and more specifically, “Creative Industries, “Livable Ecology”, Cultural Tourism, Leisure and Wellness, and Community Services”. AB: How essential is the aspect of food and ‘edibles’ to the LRDC? For example, we notice that bamboo is an important resource for the area, and a rich source of environmentally friendly material, and we will have the opportunity to visit a bamboo plant. But will be able, for example, to build our solution around bamboo and wood, which are not essentially foodstuffs. ZZ: Food is one of the basic needs in the development of the ‘Living’ in Lucitopia town. In the context of LRDC, on one hand, the ‘edibles’ can be extended to the ‘living (bio) materials’ or waste materials resulted from local food/agricultural production, as the basis to develop the applications in scenarios such as the construction/renovation of spaces, the shaping of the landscape, creating an energy generating system or a new kind of healthy food. On the other hand, the food and ‘edibles’ can also be seen as a starting point for discovering the possible needs and problems in such scenarios as food production, distribution and consumption, for example, to design the tableware, furniture, space or experience based on bamboo in a food consumption scenario, in this context, the results doesn’t need to be foodstuffs. AB: I understand, Ming. For the sake of the Challenge, I think it’s very important for clarity that the focus of the challenge can be understood to include ‘(bio) materials’. AB: We will be able to submit design proposals as systems, products, and services and can these be analogue digital? ZZ: We don’t have specific requirements on the form of the solutions, the importance is that it solves some problems, meets some needs or addresses some issues, although the form by its nature might have influence on the possible future development of the products, systems or services in terms of their application in a wider context, for example, in some cases digital form might be easier (and less costly) to be duplicated, but of course, this is very project-specific, we would like to leave this space to the teams. AB: Ming, again for the sake of clarity in the challenge and relating to your last answer, are you looking this year for proposals which would be ‘easier’ and ‘less costly’ to incubate and implement? Can we relate this to certain types of LRDC proposals last year, for example, the bamboo tea packaging or the travel app? ZZ: Like I said, Andrew, we would like to leave this space to the teams, we have stated some points in our announcement of the Challenge, such as ‘addressing local needs’, and ‘aiming to reproduce and export to a wider region and more communities’, I think it’s not accurate to say that proposals which are ‘easier’ and ‘less costly’ to implement is what we are looking for. Rather than to give an example which related to some types of proposals last year, I’d like to give an example of a type of proposal coming from an internal discussion: we were once discussing about further developing products based on recycled shipping container, one of the resulting ideas is a mobile livestock/vegetable keeping/growing system/module based on circular agriculture, this could be a good example which we might incubate. As in 2018, the 2019 edition of the Lucitopia Rural Design Challenge (LRDC) will focus on the area of Qingliangshan National Forest Park (Zhuxi Tree Farm) in Zixi County, around a two- hour drive from NanCheng HighSpeed Railway station in Jiangxi province. This relatively remote location has brought some advantages to the region: most significantly, it has remained largely undeveloped, and thus maintained its natural beauty and unspoiled character. 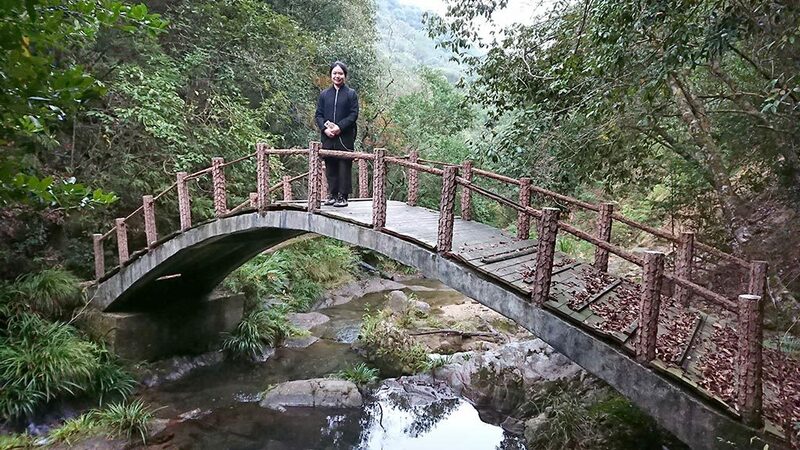 Qingliangshan National Forest Park was established as Zhuxi Agriculture & Forest Farm in 1957 and was subsequently incorporated in the Jiangxi Production and Construction Corps, Fujian Military Region. 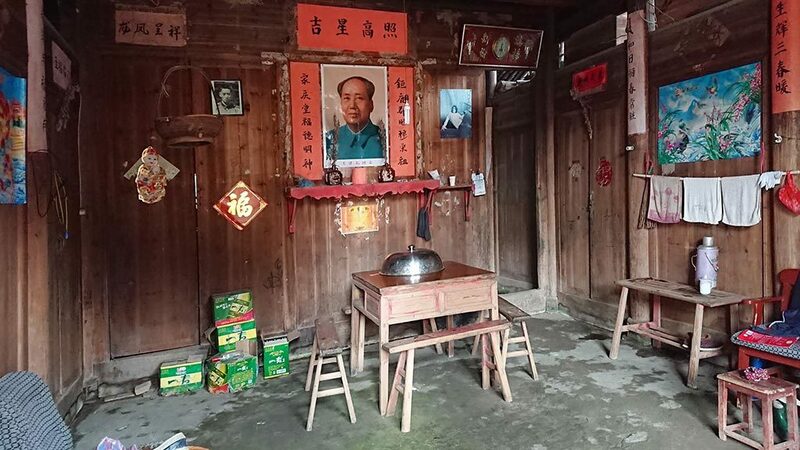 Between 1964 and 1971 when the Corps was abolished, some 300 “educated youth” (or zhiqing, urban youth, who left the city to support agricultural production in rural areas) worked on the Farm. 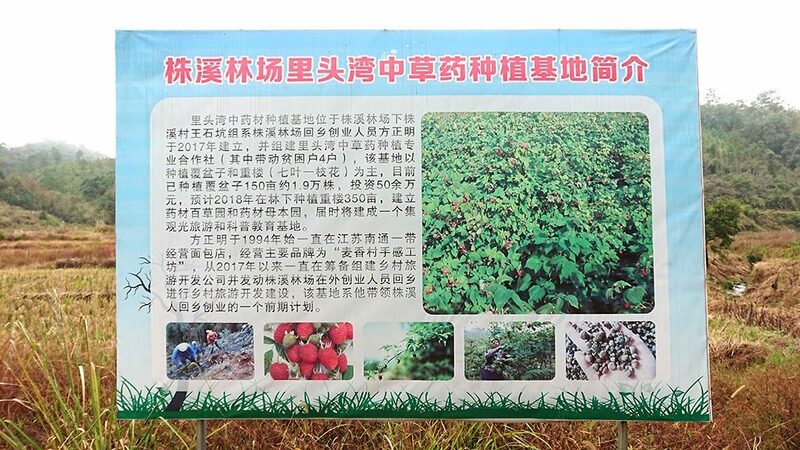 The Farm assumed the title of Zhuxi Tree Farm in 1973 and has kept this name until now. In November 2006, the Tree Farm was granted the additional title of “Qingliangshan National Forest Park” by the State Forestry Administration (Restructured as State Forestry and Grassland Administration in 2018). Throughout the Tree Farm, architectural features can still be seen from the time of the “educated youth”, such as the Tree Farm workers’ camps, former clinic, auditorium and cinema. In addition to the administrative buildings, the Tree Farm covers an area which includes several villages. 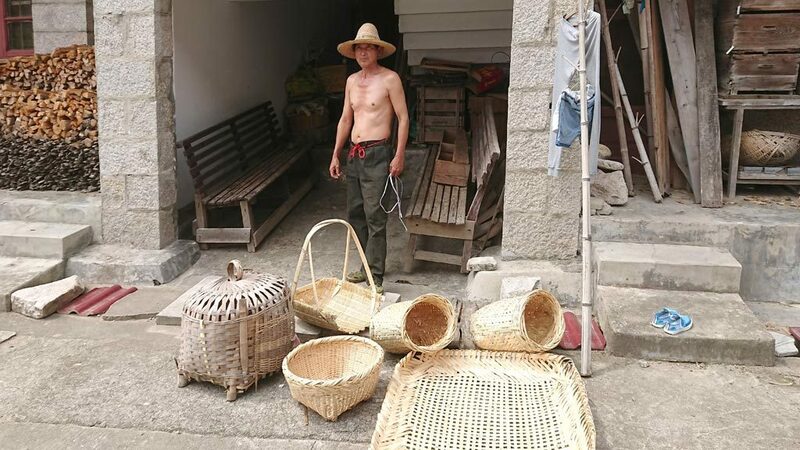 The inhabitants of the villages comprise two different groups: the ‘’originals” with a long local tradition and the “immigrants’, who were moved to the area from Qiandao Lake, Chun’an County in Zhejiang Province in 1959 due to the construction of Xin’an jiang reservoir. 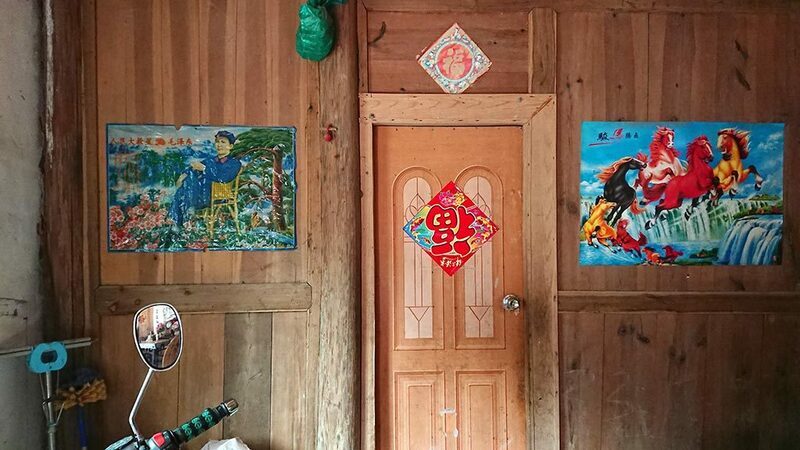 Though the migrant and ethnic residents differ in their culture, architecture and traditions, they have lived side by side on this land quite happily for many years. 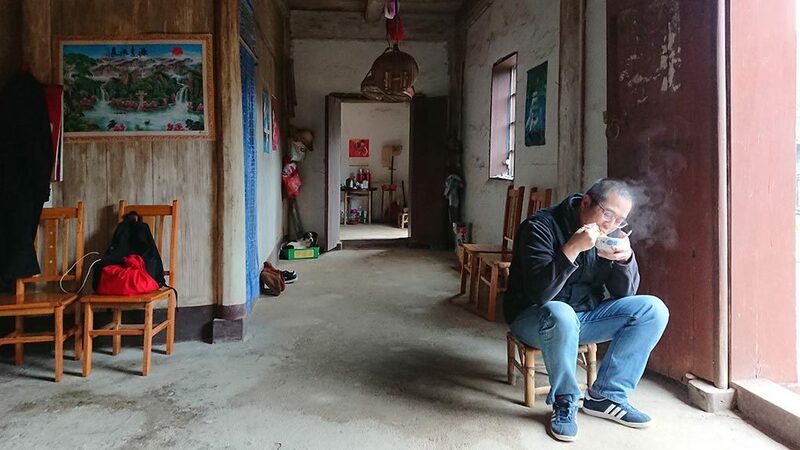 Just as in other parts of the world, Chinese rural regions are facing depopulation and families are being fragmented, as young people leave home in search of jobs in urban agglomerations. 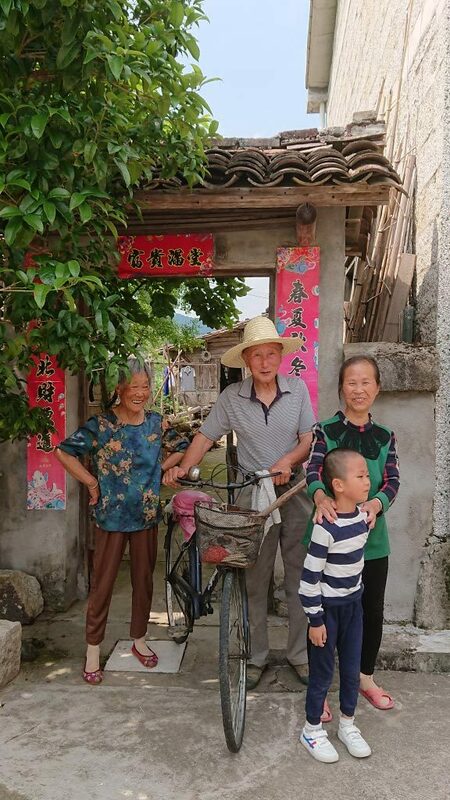 Qingliangshan is no exception; its demographic composition is mostly made up of the elderly and children. 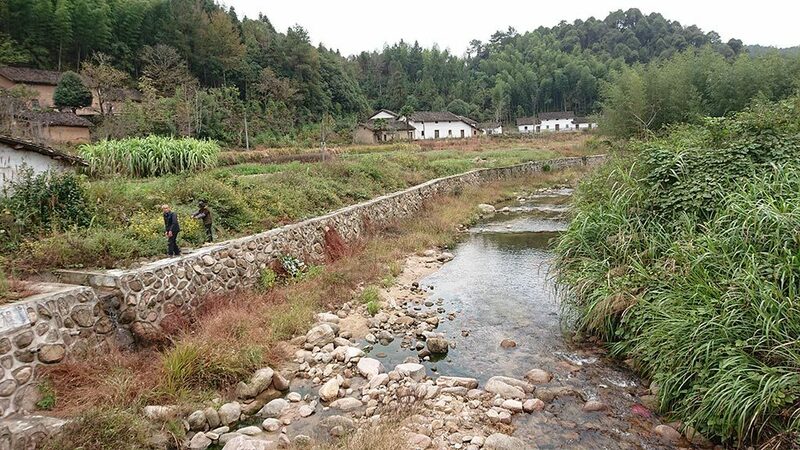 In terms of economic development, Zixi county has promoted many initiatives around eco- and cultural tourism. The renowned Zixi bakery and confectionary, together with its school, have become the main economic support of the county, training highly skilled bakers in addition to delivering high-quality bread throughout the country. 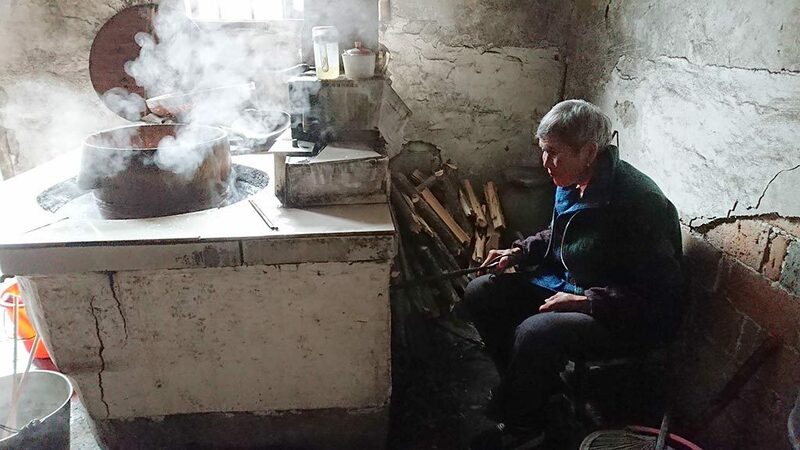 Qingliangshan residents who have left the tree farm region mostly work in the county in bread-related businesses. 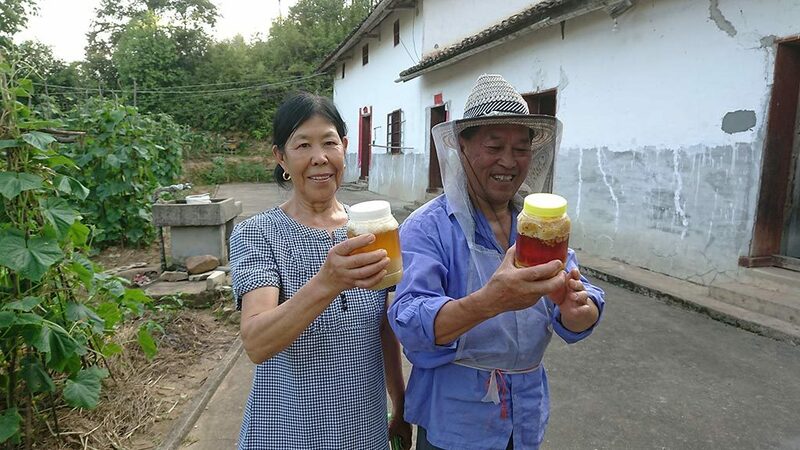 With government support, some local residents have also started honey and bee cultivation. 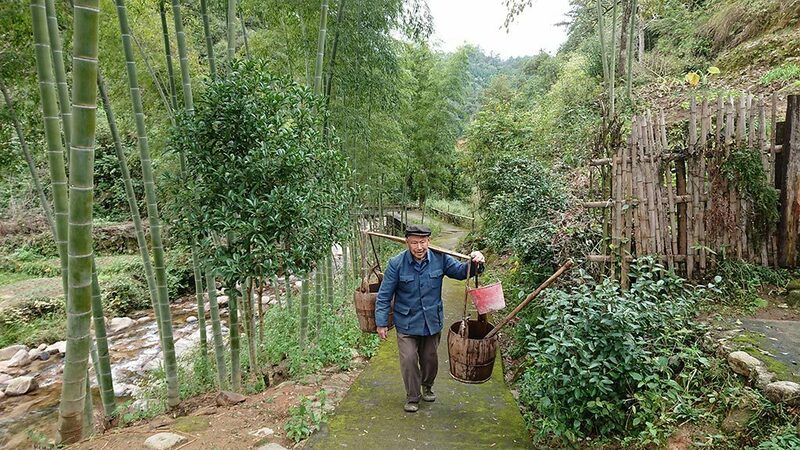 Certain regions in the mountain are known for high quality bamboo, tea plantations and wild mushrooms. Villagers also grow various vegetables and fruits. The Lucitopia development project officially started in May 2018 with the first edition of the LRDC. Lucitopia states that its aim is to establish and develop a town centred around creative industry and ecology, based on the organic composition of a “one leaf with five veins” planning and ideology: creative industry, ecological well-being, cultural tourism, leisure for health and community promotion. It has now established a creative centre and camp, providing infrastructure services such as office space, meeting rooms, accommodation, food and entertainment. A series of events around local life and possible new industry sectors will follow soon. In this phase, the Challenge will open online research channels. The participating teams are able to obtain relevant information concerning the target area and start the advance research and design process. As they develop their ideas, teams can ask for more targeted information and answers to their questions regarding the Challenge. In addition, the mentors will also provide teams with guidance in this process. All the participating teams will travel to Qingliangshan for the further development, testing, fine-tuning and completion of their solution proposals in this phase. The phase includes on- site visits, design workshops, prototyping, presentations, evaluation by the jury and award ceremony. The Challenge still start and end with formal opening and closing ceremonies, and during and after the event there will be the opportunity to join in local social, cultural and sports events. All the resulting proposals from the Challenge will also be evaluated for the Incubator Program, and selected team(s) will have opportunity to return to Qingliangshan to further develop and implement their project(s). in the travel to Qingliangshan, including the international flights between the designated countries or regions and the transfer city (Xiamen, China), in addition to the high-speed train to Nancheng County and the coach to Qingliangshan. Accommodation in the transfer city (Xiamen, China) will also be arranged as needed. i. All the participants will be accommodated in the ‘Mix Box Camp’ of Lucitopia Town during the Challenge. The Camp is designed and built entirely based on recycled shipping containers. The camp comprises living units, a canteen, convenience store, laundry and reception center. The fully equipped living unit has a simple and comfortable design, including bed, wardrobe, desk, chair, toilet and shower. The reception will also provide basic services. i. During the Challenge, participants will eat in the canteen of the ‘Mix Box Camp’. The canteen will offer various kind of delicious Chinese food for the three daily meals. the main venue for work and various activities of the Challenge. The Center has been re-designed and transformed from a former garment factory. The building comprises a large multi-purpose space, office spaces, a maker space with 3D printer, laser engraving machine, photocopier, various tools, and a bar offering coffee, drinks and special snacks. interpreter (Chinese ←→ English) during the Challenge and all travel in China. The required technical support will also be provided.